The jihadists of the Islamic State have had a lot to say about the Kingdom of Saudi Arabia. They do so because they see themselves locked in a rivalry with it. At the heart of the rivalry is the question of who gets to pose as the defender of ‘Sunnidom’ in the face of Iranian expansionism in the Middle East, a perception both rivals share and agitate over. The Islamic State argued that the House of Saud has lost the legitimacy and efficacy necessary to mount such a civilizational defense. They cited the static nature of Saudi inaction, one that did not correspond to the alarmist rhetoric emanating from Riyadh concerning Shi’a transgressions against Sunnis. 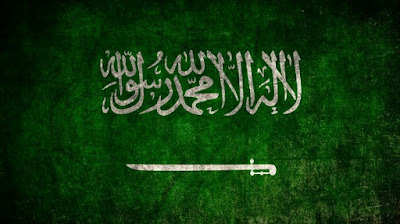 The jihadists may believe that this disconnect between rhetoric and action is accelerating the disaffection of Saudi citizens with their rulers. They may hope that this disaffection would welcome the expansion of the Islamic State into the Saudi heartland—a goal that is critical to the long-term survival of their state, or so they may believe. I strongly recommend you read the entire thing. Kazimi takes a deep dive into the propaganda used by ISIS, the official speeches and statements of the ISIS 'caliph' Abu Bakr al-Baghdadi, and the way Saudi policies (especially the new Saudi-led alliance) are being described by people in Saudi Arabia itself. International politics is not all about America. This is an idea most agree with in the abstract but inevitably fail to recognize in the moment. What Kazimi describes as a "paradigm shift in Saudi foreign policy" has been observed by many, but ISIS is rarely given much credit for it. Observers almost always focus their attention on the regional rivalry between Riyadh and Tehran, suggesting that the Saudi led Gulf Cooperation Council has been ramping up their efforts to contain Iran's growing power because of the United States' decision to slowly detangle itself from the region. In this version of events, a strong American presence in the Middle East is all that is stopping the escalation of regional tensions. Kazimi's essay is a refreshing critique of this argument. In his telling the catalyst for Saudi expansionism is not fear of Iranian military power, but fear of salafist-jihadi ideological power. The Islamic State is an existential threat to the house of Saud; its very existence puts the legitimacy of their kingdom to question. ISIS critiques have revolved around the Saudi's inability or unwillingness to protect Sunni populations from the bullets of their enemies.The kingdom's new foreign policy is designed to put all such questions to rest. Saudi Arabia will be a warrior kingdom, and against such a kingdom ISIS's ideological assaults have far less power. The point I would like to drive home here is that this likely would have happened regardless of changes in Persian ambitions or American force structure. The audience for Saudi action abroad is first their current subjects, and second other Sunni Arab populations across the region. In taking the fight to Yemen, by building a new "Islamic alliance," and so forth, the Saudis are responding just as much to threat posed by ISIS as to the threat posed by Iran. That threat would be a present danger to the Saudi regime regardless of American intentions towards Iran or the region as a whole. T. Greer. The Scholar's Stage. 17 November 2015. T. Greer. The Scholar's Stage. 24 July 2015. T. Greer. The Scholar's Stage. 21 February 2015. Nibras Kazimi, "Saudi Arabia's 'Islamic Alliance': Major Challenge for Al-Baghdadi's Islamic State, or Potential Opportunity," Hudson Institute, white paper, March 9, 2016.